In 1972, two 11,000 series 750SFC's were sent to Australia. They were sold at cost price on the proviso they would be raced in order to promote the brand. One was purchased by Jeff Curley from Stanco in Melbourne, the other by Vic Vasella from Jim Eade Motorcycles in Sydney. Vic raced the SFC extensively from 1972 to 1974 and although only holding a B-grade race licence, he was a regular contender throughout that period, with numerous podium finishes in what was then called "Unlimited Production". 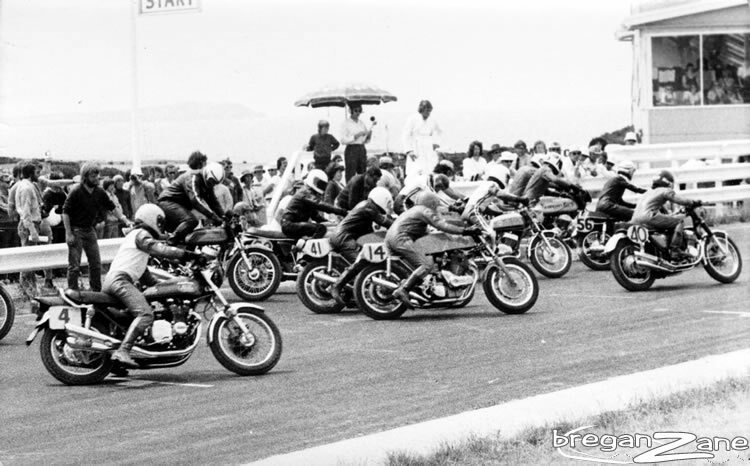 The photo here shows the two SFC's blasting off the line (looks like it was a Le-Mans start) at Phillip Island in 1972. Vic is #41 and Jeff Curley #14. In time I will have a more comprehensive history on this site, if you have any photos or other info on this period I would greatly appreciate hearing from you.